Content and SEO and Why it is Important to Optimize Content for SEO? As per our previous guides, I was telling you about SEO and the what, why, how’s of SEO for websites. Now I will tell about the most important aspect of SEO which is Content. What is Quality Content? And why is it Important to Have Quality Content for Your Website? As the top points list the disadvantages of poor content quality, here are a few steps which will give you an idea of what is quality content. How do you put all those important feelings into your audience without making your content feeling forced and fake? 1-Relatable and Simple as it is made for your audience and not for yourself. By keeping it simple and relatable, your audience can understand what your trying say instead of just reading blindly. Your content must build interest in the minds of your audience and not force selling your end goals whatever they might be. Because of that, your readers treat your content with respect and admiration. How Do You Optimize Your Content in an SEO Friendly Way? Once you get quality content, Following these steps can make it stand out. 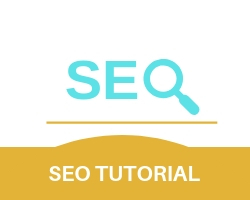 The main title of the page integrated into the head of the HTML code of a page is called a title tag, every time a page is displayed in a SERP the title tag is placed at the head. It is the first thing you see and having a title tag which describes the webpage accurately makes it rank high. A good title tag has to be around 50-60 characters and a great title tag describes the whole page instantly. Short summaries that are found underneath the title tags are called meta descriptions. A preview for the web page, meta descriptions must contain the relevant keywords as the search engines highlight them for the user. A good meta description is around 150-160 characters long including spaces whereas a great meta description can immediately attract the attention of the user without giving away too much information.